When I first started wearing my summer capsule wardrobe, I decided to document my outfits on a daily basis so I would know how often I wore each item. I recorded sixty outfits over the past three months, and these nine pieces are my most worn items! I wore most of the pieces in my capsule a few times (one of the perks of having fewer choices), but I chose each of these MVPs at least five times. Coming in at first place were my go-to skinny jeans, which I wore thirty eight times! 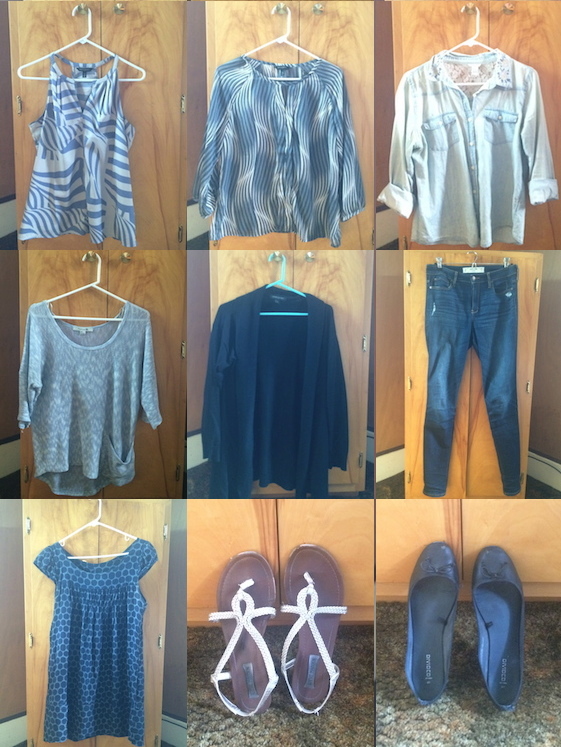 Looking at these pieces together, I notice a few common trends: simple, classic cuts; versatile items that layer well with other basics; and lots of blue! Clearly, blouses that can be thrown on in a minute and soft, comfy sweaters are also favorites of mine. I’ll definitely be keeping these points in mind as I choose the pieces for my next capsule. Ok, that’s it for my summer capsule – now who is excited for fall? !